The latest report of a seizure of Christian CDs at the KL International Airport 2 (KLIA2) shows that Prime Minister Najib Abdul Razak’s assurance to Borneo Christians on the ‘Allah’ issue is not reliable, says Serdang MP Ong Kian Ming. He was referring to a Malay Mail Online report on the confiscation of hundreds of Christian CDs and books from a Sabah resident last Saturday, when the latter arrived at KLIA2 en route home from Medan, Indonesia. Cabinet ministers today pledged their support for the 10-point agreement on the use of ‘Allah’ in Christian literature, adding that civil servants should also comply with the agreement. Cabinet ministers today unanimously pledged their support for the 10-point agreement on the use of “Allah” in Christian literature and reiterated the need to protect religious materials, said Tan Sri Joseph Kurup. 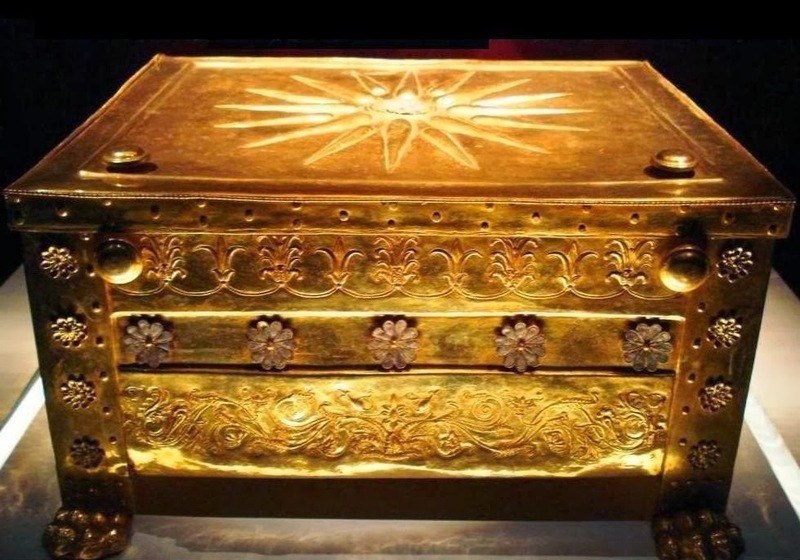 The seizure of the Christian materials at klia2 is the latest to demonstrate the unresolved quandary stemming from regulatory prohibitions against non-Muslim use of the word in the peninsula but not in Sabah and Sarawak. Hundreds of Christian compact discs (CDs) and books containing the word “Allah” were confiscated at the Kuala Lumpur International 2 airport in Sepang last Saturday. Former prime minister Dr Mahathir Mohamad’s justification of Perkasa president Ibrahim Ali’s call to burn the Malay-language Bible is invalid, as the latter’s call was meant in protest said a Sabah Umno leader. Sabah Umno deputy chief Salleh Said Keruak slammed Mahathir’s comparison of Muslims burning old copies of the Quran so that it would not be thrown out like garbage. Outspoken Sarawak minister Tan Sri Dr James Masing called for divine help after learning that former prime minister Dr Mahathir Mohamad endorsed Perkasa chief Datuk Ibrahim Ali’s Bible-burning call. Outspoken Sarawak minister Tan Sri Dr James Masing, who had worked closely with Tun Dr Mahathir Mohamad when he was Barisan Nasional chairman, said he had lost respect for the man he had once held in high esteem for defending Perkasa’s Datuk Ibrahim Ali over the Bible-burning issue. The news spreading by Whatsapp and other social media is that “JAIS will be coming to Islamize the villagers in Uma Tanjung Village in Long Bawa on Oct 16”. Parti Rakyat Sarawak (PRS) President, James Masing has confirmed that he has checked with Assistant Minister in the Chief Minister’s Department, Daud Abdul Rahman, who assured him that JAIS Sarawak is not involved in a reported attempt to convert Christians in Belaga to Islam. Putrajaya’s persistence in refusing non-Muslim Malaysians the right to use the word “Allah” is tantamount to the systematic destruction of the language and culture of the Bumiputera community in Sabah and Sarawak, the head of the Anglican Church in Southeast Asia said. Archbishop Datuk Bolly Lapok said the word “Allah” has been part and parcel of the community’s language for generations and has become “embedded” in every aspect of their culture, including for the Bumiputera Christians, who make up the majority of Malaysia’s Christian population. Prohibiting use of the word ‘Allah’ by non-Muslims is taking things a bit “too far”, says Indonesia’s newly-minted minister of religious affairs. Minister Lukman Hakim Saifuddin said the word ‘Allah’ should not be exclusive to any one religion. “The ministry feels this (having such a prohibition) is going a bit too far. To me, anyone can use the word (‘Allah’). Thus far, only two global Muslim leaders have come out to condemn the militant group Islamic State of Iraq and Syria (Isis) – or Islamic State (IS), as they call themselves now – for their violence and large-scale slaughter in both the Middle East countries. Former Malaysian prime minister Tun Dr Mahathir Mohamad and Indonesian President Susilo Bambang Yudhoyono. Dr Mahathir condemned the group four days ago, saying it has misinterpreted Islam which is a religion of peace. Malaysia’s Catholic Church will continue its fight to use the word “Allah” in its weekly publication, Herald, when it files a review application next week to set aside the Federal Court’s dismissal of its application to appeal the ban, one of its lawyers said. The lawyer told The Malaysian Insider that the church’s review application, which could be filed as early as Monday, will also seek a new bench to rehear the leave application. It is beginning to look like the issue of implementing seventh-century Islamic law requiring the amputation of limbs and stoning of adulterers has crested in Malaysia and is receding. I have a clear stand over the brouhaha. Zionist-Hamas issue leads many of us in to emotional judgement that most of us would not be able to see things from different angles. Not only are we full of hatred and biased view of being so unilateral, but we are playing and poking around with religions and sentiments that affect not only people in the middle east, but many people around the globe. The legal team in the case brought by Sarawakian Jill Ireland against the Home Minister and the government may appeal the case despite getting a favourable decision on Monday, in order to get a firm judgment on the outstanding constitutional issue over Ireland’s right to practise her faith. Judges will be seen as abdicating their duties when they refuse to make decisions as requested by litigants, especially in high profile public interest cases, lawyers said. Sarawak DAP today cautioned non-Muslims in Malaysia, especially those in Sarawak, about a paper presented by the Malaysian Islamic Development Department (Jakim) that says hudud can be implemented in the country without the Federal Constitution being amended. Once hudud is adopted by the government, the Jakim paper says, it would apply to all Malaysians irrespective of their race or religious belief, it said. Jakim comes under the Prime Minister’s Department. A common misconception about the Quran is that it promotes hatred of Jews and Christians, and asks Muslims to not be friends with them. Strangely, instead of voicing out against such a misrepresentation of verse 5:51 (which contains the commandment), some Muslims actually revel in quoting this verse as a means of feeling superior, perhaps. Who needs enemies, when you have such believers? But I guess, that’s the karma of blindly following religious figures. PKR de facto leader Anwar Ibrahim has denied DAP Sarawak’s claim that he has been keeping silent on the hudud issue in Pakatan Rakyat. Anwar said on the latest occasion, he had touched on the issue at a forum held at the Royal Selangor Club on July 9. “Contrary to DAP Sarawak’s statement, I already spoke about the matter two weeks ago,” he said. On July 3, I joined my fellow Catholics in welcoming news of the appointment of Rev Father Julian Leow as the new Archbishop of Kuala Lumpur. The post has been vacant following the retirement of Archbishop Emeritus Murphy Pakiam eight months ago. Pakiam is required by canon law to step down as head of an archdiocese upon reaching 75. The lawyers argued that they should have been granted leave so that the merits of their case can be heard. 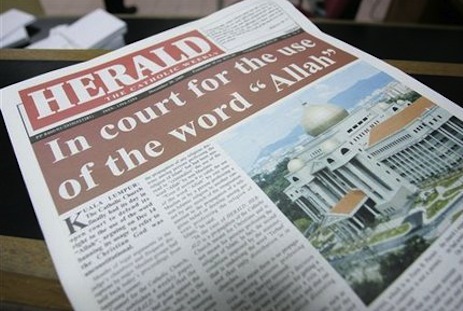 The High Court of Sabah and Sarawak in Kota Kinabalu this morning denied leave to two plaintiffs, an activist and a lawyer, to apply for leave for Judicial Review against the seizure of 2,000 copies of the Herald, the Catholic weekly, on 26 October last year at the Kota Kinabalu International Airport. Sarawakians, especially Christians, are not convinced by the assurance from Chief Minister Adenan Satem that the Federal Court decision to ban the use of the word ‘Allah’ by the Herald will not affect them. “I do appreciate the words of our chief minister that ‘this will not be a problem for us’, and I commend him for speaking up for Sarawakians,” Sarawak PKR chief Baru Bian said. “I believe he is sincere in his intention to keep his word as long as he is the chief minister. The fate of the seized Iban and Malay language copies of the Bible remains uncertain as Selangor Menteri Besar Abdul Khalid Ibrahim keeps the people guessing over the progress of the situation. Khalid, who chaired the exco meeting earlier today, said he had met the attorney-general (AG). “There is a resolution and now it is in the process of implementation. I cannot give more comments as it has already begun. 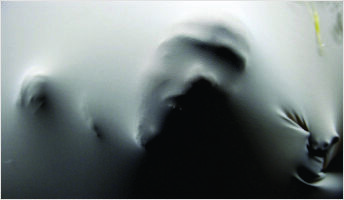 I will announce it later,” he said. Why is a law that promotes equality and fair play deemed anti-Islam? The three “unity bills” scheduled to replace the Sedition Act include an anti-discriminatory legislation (draft National Harmony and Reconciliation Bill 2014) which brings into contention “Bumiputera” concessions and quotas in business and whether these would fall under the purview of the intended Acts of Parliament. Far from putting the issue to rest, the Federal Court 4-3 majority judgment last Monday favouring the government over the Herald case now seems to be stirring the hornet’s nest in the Jill Ireland case at the High Court in Kuala Lumpur yesterday morning. The month of June is when the Dayak and the Kadazan-Dusun communities of Sarawak and Sabah celebrate the festivals of the Gawai Dayak and the Pesta Kaamatan, in thanksgiving for a bountiful year. It is a time of rejoicing and merry-making. A lawyer, representing a Sarawakian Christian challenging the home ministry’s seizure of her religious compact discs for containing the word “Allah”, has questioned the ministry’s justification that the term was exclusive to Islam and Muslims. Nizam Bashir told the High Court today that an officer from the ministry had clearly acted on an incorrect basis of fact. Who are you, Zulkifli Noordin, to issue a stern warning to what you label as Christian “chauvinists and extremists” not to test the patience of Muslims? Who are you to warn Malaysians not to invite another May 13? Zulkifli, you are just a failed politician rejected by Malaysians and you are now clamouring for attention to get back into the corridors of power. Umno playing same strategy to woo Muslims. Although the Christian community in the country has been made the scapegoat, things have to be put into perspective for the sake of unity and harmony. 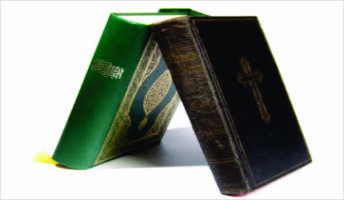 Both the Alkitab and the Sikh scriptures use Allah as a name referring to God, but only the Christian scripture is being targeted, ridiculed and confiscated. Civil courts take precedence over shariah courts by virtue of their creation under the Federal Constitution unlike the shariah court, which was established out of state law, a retired senior judge said, refuting the inspector-general of police’s contention that both courts were of equal status in his refusal to execute recovery orders from civil court in two interfaith child custody cases. Former Federal Court judge Datuk Seri Gopal Sri Ram (pic, left) said shariah courts were subordinate to civil courts because they were enacted under state laws. Once, we were proud of our country,but today we are bogged down by racial and religious turmoil. 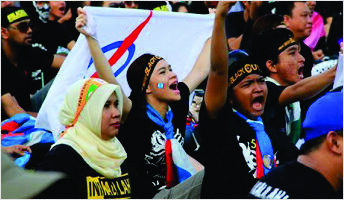 Malaysia was once a promising country with a boisterous economy and a budding democracy. And to make it even better, Najib gave us 1Malaysia and Endless Possibilities. So why have things gone so wrong? Its chairman Datuk Mohamad Adzib Mohd Isa said operations to counter the distribution of such Bibles in Selangor will continue and warned that it will not hesitate to arrest those distributing it. Reza Aslan says Christians using the word Allah do not pose a threat to Islam. A well-known American Muslim theologian has joined a long list of critics over the recent Court of Appeal ruling on the use of the word Allah, saying it was a “political decision more than anything else”. Opposition leader Anwar Ibrahim said the lack of leadership from the prime minister and the courts has allowed “irresponsible elements” to hijack the discourse on the ‘Allah’ issue. Anwar was lamenting the missed opportunity at a reasoned debate over theHerald’s ban on using the word ‘Allah’ arising from the Federal Court’s decision on Monday.